It seems to have been a difficult latter part of the winter for numerous new build projects: this month’s update contains reports of acrimony between groups, vanishing websites and, to kick off with, the total suspension of one project. The 5AT project has been suspended indefinitely, according to this statement on its website. The group’s members had done a significant amount of design and theory work, and the project had for some time been at the point of needing to attract investment for a full design team before being able to take things further. Finding such investment has not proved possible, perhaps due to the wider economic climate. 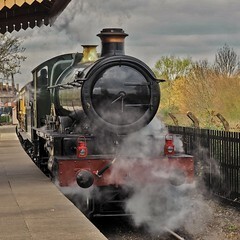 Interestingly, the group has announced its intention to undertake an exercise to assess future need for steam locomotives in the UK, both for preservation and the main line. New Build Steam is not aware of any other work on this significant question having been undertaken (though would be grateful to be pointed towards any): a changing global picture in terms of economic power, energy use and the availability of commodities including fossil fuels, plus domestic trends including apparently ever-growing demand for mainline rail services and demographic changes that are likely to leave the preservation workforce looking very different in ten years’ time, arguably make such an exercise somewhat overdue. Preservation and new build groups perhaps shy away from such analysis slightly – building and running steam locomotives is a labour of love, and fundamentally hard to make a profit from. A sober and in-depth assessment of the possible future of steam in the UK would be a fascinating read. There have been developments on the ‘Trust’ side of the B17 equation (as distinct from the NBL company that announced its intention to build 61662 Manchester United around the turn of the year). The Trust’s website – which NBS felt looked somewhat old-fashioned by current web standards – has vanished (as with other unavailable websites noted in this post, the link to it will remain on the links section of this site the time being, and removed if the sites are ultimately not restored, or if we hear that they definitely won’t be). Confusingly, the old Sandringham Locomotive Company site remains online despite now being long out of date. The Trust did, however, make a statement on the subject of the 61662 project, which is available on the forum associated with the LNER Encyclopedia. Unfortunately the general picture seems to be one of acrimony, with no agreement for co-operation between the two groups in place. It does seem to confirm, however, that both existing tenders previously earmarked for a B17 are retained by the Trust. It also noted that the Trust’s locomotive has not yet been allocated a name or number – for the purposes of this site, this project will from now on be referred to as ‘Gresley B17’ (in line with our policy for locomotives with neither name nor number) in the menu structure, having previously been under the heading ‘61600 Sandringham’ ( the NBL B17 will continue to be referred to as ‘61662 Manchester United’). The ‘friends of Betton Grange’ website is another web presence that has seemingly vanished. Possibly related to this (or possibly not) there were reports of some discord arising from the Betton Grange AGM, though New Build Steam has not read the main online post at the centre of this. It’s hard to know how much significance to attach to online rumours of this kind – one individual with a grievance can generate a lot of sound and fury, which may or may not signify anything. The website for the J39 group is also down, apparently a recurrence of a known problem. There has also been some visible online rancour between the J39 and L1 groups, the latter having spun off the former due to a, “lack of professionalism” (according to a comment left on the New Build Steam’s previous update). In other news, however, members of the L1 group visited York to access drawings in late February, and have signed up to easyfundraising.org.uk as a means of bringing in funds. 45551 The Unknown Warrior: this post on National Preservation shows photos of progress on the frames. although not exactly a british new built project but in The Netherlands a locmotive of the ex-GCR Robinson “Immingham” class with inside cylinders (as is the type classification according to Dutch railway literature) will be built to run in 2018 on the occasion of the bid to get European Cultural Capital status. 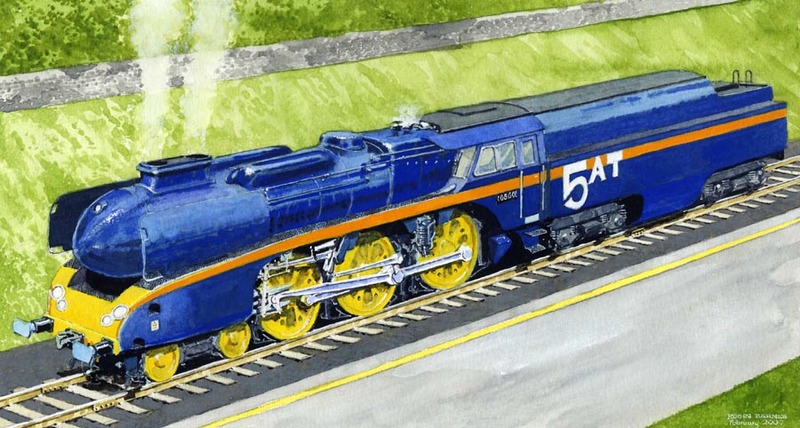 Website URL is: http://www.nbdsproject.nl The site has a summary in english with nice locomotive portraits. Thanks for pointing us towards the project, John – we’ll certainly give it a mention in the next news round-up.